I am Gaia, your sister, your friend, your partner and your planet.I want to speak to you for a moment from my Heart Chakra in Maui, Hawaii. The sweet Essence of my Love flows across this verdant land with the ever- present trade winds and soaks into my earth with the misty rain. Each of the myriad flowers speaks of my great creative force, and the warm weather allows my people the freedom to play in my waters and on my shores. Because of the beauty and harmony of my Heart, many people have sought to own my land, my oceans, and my beaches, but I AM FREE, for I am a FEMALE that NO man – or woman – can own. I am free because I am connected to my SELF and to my Mission. With the wonderful gift of increased feminine energy sent to my heart in Maui from my sisters in the Pleiades, my Female Power is awakening after a long slumber. Consequently, I am now fully prepared to see as many of my inhabitants as possible into the fifth dimension and beyond. Furthermore, in 2012, dear Venus rested between my planet, Earth, and our Sun to further amplify the Feminine Power of Creation and Birth. I do not expect that our journey will be completed by 2012, but I believe that dear sister Venus’s presence greatly assisted us. I know there are those who do not want to move into the higher vibrations, but I can look into their hearts and see their Soul’s desire, which they are unable to do. Still, Earth has always been a free-will planet, and all of my people have the right to create their reality, whether it is from their Soul or from their ego. As the majority of my people choose to partake in our impending process of Planetary Transformation, these “sleeping Ones” will find that they are more and more alone. I, Gaia, the eighth Pleiadian Sister, am more rambunctious, shall we say, than my sisters. I always felt as though there was a great challenge, a mission, which my Oversoul wished me to fulfill. That Mission was to go out into the wastelands, the outer reaches of a new Galaxy, to experience the most extreme third dimensional polarity that was possible. To join me in this endeavor were most of the other members of my Oversoul. We all looked forward to choosing our own role. 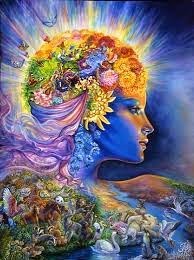 I, Gaia, am the expression of the entire Oversoul, while the other members of my Oversoul chose to be different expressions of me, the planet. In this manner, each of “us” is our own interpretation of “Being a Planet,” and I, Gaia, serve as the template. Just as your hands and feet are portions of your human body, each of my elements and inhabitants, including my people, are portions of my planetary body. Some members of my Oversoul wanted to experience being first and second dimensional life forms. They were the first to send down a portion of their Essence into my initial 3D Matrix. I say “a portion of their Essence,” as they, as well as ALL my life forms, also exist in many other places and dimensions. The ones who desired the experience of being first and second dimensional were to become my rocks, water, plants, reptiles, insects and animals. The First and Second Dimensionals may seem less evolved to you, but they chose this expression because they knew that they would never lose touch with the Planetary Consciousness. They’ve never had the full experience of separation and limitation of third dimensional individuality, but they’ve never taken the risk of becoming lost in the polarity of their dark side. Instead, they remained in their group Soul. Because of this, they’ve never experienced death. When they “died,” they merely returned to the Oneness, with which they had never lost contact. Most of my humans have lost their connection with our Oversoul and with their Multidimensional SELF. Therefore, “death” feels like leaving. When the connection has not been lost, “death” feels like going Home to visit your Family. 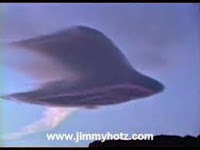 There were others, such as yourselves, who chose to be third dimensional “people.” Some first entered during the time of Lemuria, some during the time of Atlantis, some long before and some more recently within this last 12000 year cycle. Because you, my third dimensional inhabitants, wished the experience of individuality, you joined the 3D Game, which was prepared for you by the First and Second Dimensionals. When you entered this Game of 3D polarity, your awareness was limited to the separate package of your personal Earth vessel and you were separated from your Planetary Consciousness and the awareness of your Oversoul. At first, you, my people, had more of a connection to me, the planet. However, as you have become more individuated by your “civilized” world, most of you have lost that connection. Each dimension of reality encompasses the lower ones. Therefore, you, my Third Dimensionals, were always aware of the First and Second Dimensionals but lost connection with the Fourth Dimensionals and beyond. Fortunately, many of you are progressing to the “End Game” of the 3D Game. You have made this progression because you have learned to expand your consciousness beyond the confines of your separate 3D Earth vessel. Because of your expanded consciousness, you are remembering to consciously perceive realities that are below, or above, the third dimension. When you are able to expand your consciousness to encompass the seventh dimension, you will reconnect with your Oversoul, and realize that you have returned HOME. In fact, this “Journey Home” has already begun. YOU, my dear members of the Planetary Ascension Team, are NOW in the process of returning to your true, Multidimensional Awareness. 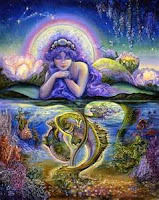 Just as I, Gaia, have many dimensional beings and realities within my planetary body, you are realizing that you have many dimensional beings and realities within your personal body. The first, second and fourth dimensional components of your SELF connect you to your Planetary Consciousness. Your fifth and sixth dimensional components connect you to your Galactic Consciousness, and the seventh dimensional components of your SELF will connect you to your Universal, or Cosmic, Consciousness. Embedded in your Earth vessel are all the components of me, the planet, as well as all the components of OUR Oversoul members who chose to be first, second and fourth dimensional Beings. 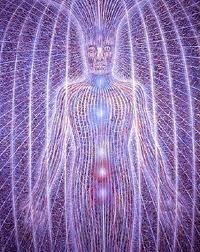 Your first and second dimensional Selves live in unity with the planet, as these elements of your body, and mine, are not “evolved” enough to understand the separation of the third dimension. It is from their unity that they commune in oneness with the fourth dimensional creatures, my Elementals of Earth, Air, Fire, and Water. Just as some of our Oversoul chose to be First and Second Dimensionals, some chose to be Fourth Dimensionals. Unlike the First and Second Dimensionals, the Fourth Dimensionals have some sense of individuality, but they also have a strong Unity Consciousness, which keeps them in constant communication with each other, as well as with all the lower dimensional Beings. The Fourth Dimensionals that most directly interface with your everyday life are the Elementals. The first and second dimensional “elements” of earth, air, fire, and water are given “life” by the spirit/prana of the fourth dimensional Elementals. The Elementals share their life-giving Spirit Essence with these elements, just as your Soul shares its Spirit Essence with your third dimensional Earth vessel. You, the human expression of our Oversoul, have Elementals within your physical body, just as my planetary body does. You are the microcosm of me, Gaia. In your carbon-based matter, “earth element,” you have the Earth Elementals, the Gnomes. 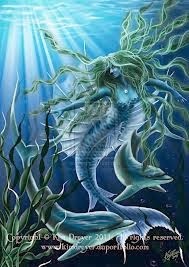 In your bodily fluid, “water element,” you have the Water Elementals, the Undines. 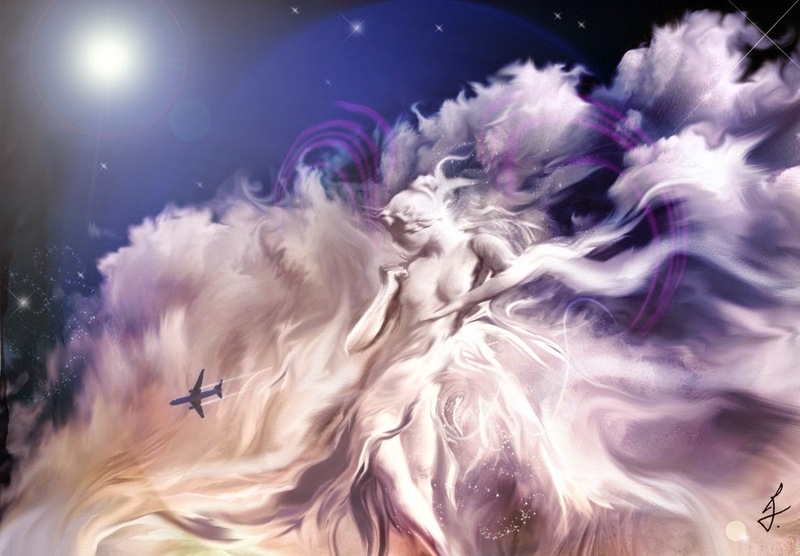 In the “space” and oxygen within your body, your “air element,” you have the Air Elementals, the Sylphs. 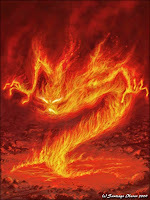 Finally, in your neural activity and Kundalini force, “fire element,” you have the Fire Elementals, the Salamanders. Since Elementals are fourth dimensional Beings, they do not abide by the rules of third dimensional separation. Every experience that any Elemental has is instantly shared with all the Elementals. In fact, all four groups of Elementals, inside and outside your Earth vessel, work in concert with each other. Within the INNER reality of your “personal” Earth vessel, your thoughts and emotions stimulate all the Elementals, who in turn, stimulate all the Elementals in your OUTER reality. In this manner, the Elementals within your physical body and aura live in constant unity with the Elementals in my planetary body and atmosphere. 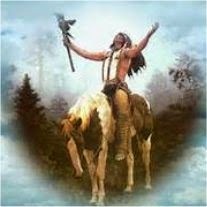 It is through your Elementals that you, my people, impact the planet, the weather, and all the people, plants and animals that you contact. For example, your thoughts are the end result of the neural activity that your inner Fire Elementals, the Salamanders, initiated and completed. Since your inner Fire Elementals work in concert with all the Fire Elementals of my planet, your “individual” thoughts become “planetary” thoughts via the unity in which all the Elementals live. Therefore, your thoughts influence all the Fire Elements of my planet and all my creatures. Hence, when your thoughts are clear and kind, your inner Elementals attract other Elementals who are also clear and kind. When you choose positive thinking, you influence your Fire Elementals in a positive manner, which, in turn, positively influence the Fire Elementals of others and of my planet. The photons of the sun, which unify with my Fire Elementals, can more easily integrate into my planet by your passage, and the thoughts of others will be calmed as your inner Elementals share a serene blessing with their inner Elementals. On the other hand, if your inner thoughts are sad, angry or fearful, you dispense your own angst and discomfort throughout your environment. You then magnetize others who are suffering, or create a “bad feeling” in others. Plants won’t grow for you, animals will run away or attack, and you will contribute to my weather in a destructive manner. My weather is a response to my occupants, as I am the sum/total of ALL my creatures. 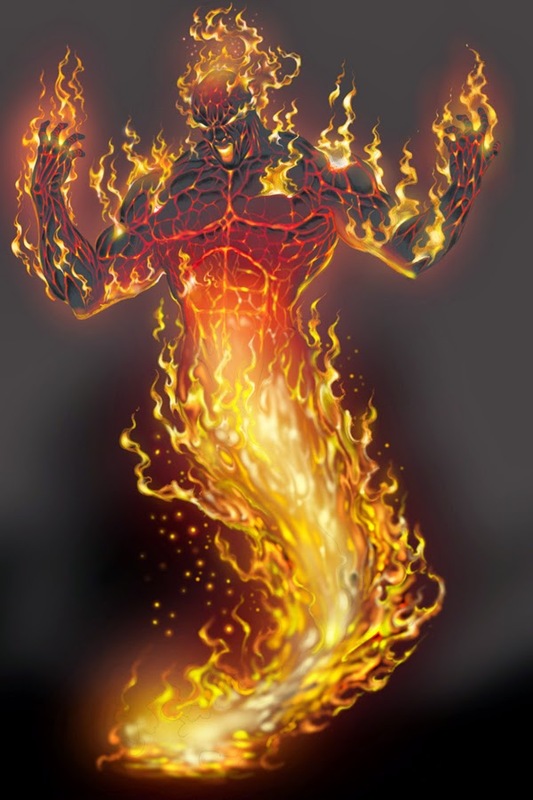 Your thoughts are actually a co-operative event between your Earth Elementals that work with the matter of the neurotransmitters, enzymes and other chemicals to create the change in polarity that initiates the electrical signal, and the Fire Elementals that “fire” the neuron. Hence, your thoughts also have a great influence on the Earth Elementals of your internal and external world. When your thoughts are chaotic, obsessive and/or confused, your Earth Elementals find it difficult to stabilize themselves. This “personal” instability then influences the Planetary Earth Elementals to perpetuate geological instability. 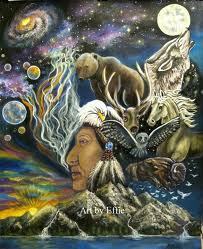 As you walk my planetary body, Earth, your every step influences the Earth Elementals of my planetary body. The planetary Earth Elementals hold the message that your step has sent and relay it on to the next person or animal that walks in your footsteps. Have you ever wondered why it is so glorious to walk in the wilderness, on a deserted beach or in virgin snow? It is because it is psychically “quiet,” and your Elementals are not resonating to others. Hence, it is easier for them to resonate to your SELF. This experience is also the origin of the saying, “Walk in the footsteps of the Masters.” The “Masters” are Beings, human and non-human, who have gained a mastery over their thoughts and feelings, and, hence, a mastery of their inner elements and Elementals. These Masters consciously work with their personal and planetary Elementals, as well as the inner elements of others to convey the deep, inner peace of living in Constant Communication with your Multidimensional SELF. The Air Elementals assist the flow of life-giving oxygen, which gives you consciousness. The first thing that happens when you suffer from oxygen deprivation is that your thinking becomes increasingly confused until you become “unconscious.” Hence, an adequate flow of oxygen throughout your system is vital for clear thinking. This is why the element of air is also associated with your thoughts. The Air Elementals, the Sylphs, assist you in breathing. The Sylphs, Air Elementals, also blend your thoughts with the thoughts of others through the Unity Consciousness that all Elementals share. With every inhalation you are receiving the thoughts of others, and with every exhalation, you are distributing your thoughts throughout your world via your Air Elementals. Your thoughts then feed into the Collective Consciousness and the Planetary Consciousness to influence your daily experiences, as well as the experiences of others. Allow me to take a moment to differentiate Collective and Planetary Consciousness for you. Collective Consciousness is the combined consciousness of all my humans, whereas Planetary Consciousness is the combined consciousness of ALL my inhabitants in ALL my dimensions. Hence, Planetary Consciousness is more expansive than humanity’ Collective Consciousness. The Sylphs live in your aura and constantly contribute to my aura, the atmosphere, and the quality of my planet’s air and sky. When you have “cloudy thoughts,” you relay that message to the atmosphere. On the other hand, when you have “clear thinking,” you contribute to a clear day. You are all aware of how my weather is changing. This is because we, our planet, are now largely fourth dimensional. Therefore, reality is more mutable and more easily influenced by the thoughts and feelings of my inhabitants. Please do not be frightened by this statement, for it also offers great hope. As each of you, my Keepers of the Land, gain mastery of your own inner elements, your inner Elementals will assist you in holding that resonance of mastery. The Elementals also serve to contribute that “resonance of mastery” to the inner Elementals of others and to the Elementals of my planet. In this manner, the Elementals serve to raise the vibration of “their person,” while they also raise the vibration of my planet and all my inhabitants. The mastery you gain over the physical elements of your Earth vessel allows you to move into an active partnership with your inner Elementals, as well as the Elementals of my planet. You have the innate power to call upon your inner Elementals to assist you with your personal health and transformation, as well as the health and transformation of my planet. Do you realize now what a truly powerful Being you are? Water has been associated with emotions just as air has been associated with thoughts. Your Water Elementals, the Undines, rule your bodily fluid, blood, and the circulation of your blood, which is the domain of your heart. If your heart does not function, you die. Hence, if your heart is not functioning well you experience the emotion of fear, Fear of Death. Conversely, the emotion of Love is also associated with your heart. This is likely because your heart is also the Home of your Soul/SELF from whence Unconditional Love can be felt. Since all emotions are some octave of the 3D polarization of “good/loving” emotions or the “bad/fearful” emotions, your Heart and your Undines, Water Elements, serve as the distributors of your emotions. Your emotions are the basis of your consciousness for they represent your ability to FEEL, be aware of, your Self. When you were first born, your “Self” was your Soul/SELF. Then, as a process of “growing up,” you became more and more aware of your physical body and your ego that ruled it. Eventually, your “Self” became your ego/self. Fortunately, as you expanded your consciousness, you could FEEL, be aware of, your inner Guides, Holy Spirit, Angels, and other members of your inner world. Eventually, as you continued on your Path, you began to be “conscious” of your own Higher Self, whom you have downloaded and are now integrating into your physical Earth vessel. Your cerebral spinal fluid is also a water element, and hence, under the domain of your Water Elementals, the Undines. Cerebral Spinal Fluid flows between your brain and your skull, through the ventricles of your brain, and up and down your spine between the nerves and the spinal cord to cushion your nerves and facilitate your primary neural synapses. As you Awaken, the Goddess Kundalini, also known as the Goddess Shakti in the Eastern World, sweeps up from your Root Chakra, chakra by chakra, to join her Divine Complement, Lord Shiva, in your Crown Chakra. This Mystical Marriage of your inner male and female not only initiates the process wherein you are freed of the polarities of the 3D Game, but also greatly amplifies the frequency rate of your cerebral spinal fluid and potential voltage of your entire nervous system. When Goddess Kundalini rises up to your Brow, Sixth, Chakra, she leaves her “seed of transformation” in the third and fourth ventricle of your brain. Lord Shiva, who has been awaiting his Divine Mate in the Crown, Seventh, Chakra, then extends his energy into your third and fourth ventricle to fertilize the “eggs” which his mate has left for him. Their coupling opens your Third Eye, initiates the gestational period of your total transformation and activates the octave leap in the voltage of your cerebral spinal fluid. This jolt of higher frequency travels throughout your entire brain and down your spinal cord via your cerebral spinal fluid. Your cerebral spinal fluid, now charged with a higher vibration, basks every nerve ending in your brain and spinal cord. Your spinal cord then shares the shift in frequency with the nerves that leave your spinal column to innervate your entire body. As the vibratory rate of your physical body rises, so does your ability for greater expansion of your consciousness. As the anchor is raised, the ship can begin its journey. You, my people, have begun your journey and are lovingly assisting others to begin theirs. I wish to thank you for delaying your total transformation into Lightbody until the moment of the NOW in which my entire planet and all my inhabitants shall return Home to our true SELF. In preparation for that moment, I wish to lead you in communing with your fellow members of our Oversoul, the fourth dimensional Elementals who, in turn, will share your message with your first and second dimensional elements to heal and transform your current Earth vessel. Your Elementals will then, also, communicate with the Elementals of my planet and all my inhabitants. Communing with your inner Elementals is an important step towards becoming the Master of Energy that is your birthright. As you work in conscious partnership with the Elemental Kingdom of your human body, you shall also be working in conscious partnership with the Elemental Kingdom of my planetary body. We shall begin the process with your inner Fire Elementals. Take a long, slow, deep breath and FEEL the Salamanders, Fire Elementals, moving like little jolts of lightning throughout your body. Experience the flash of each synapse within your system as you see the Salamanders busily at work within your body. Feel your inner Fire. Call upon your Salamanders to update your electrical circuitry to accept and integrate the higher frequencies that are entering your vessel. Remember a time when you were “out of control” of your inner fire. In your mind’s eye, re-visit this situation by closing your eyes and calling upon your inner Fire Elementals to calm your excitation and ease your struggle. They may be quite surprised that you even know of their great contribution to your life. Nonetheless, they quickly respond to your request. Thank them now for their service, and through them, thank all the Fire Elementals of my planet. Determine that you will continue to seek to regain your birthright of being a Master of Energy, so that you can spread that Mastery to ALL through your inner Elementals. Now, inhale deeply the Essence of these Fire Elementals and slowly exhale into their partners, the Earth Elementals, the Gnomes. Imagine these Gnomes doing construction and re-construction of your physical body. Scan your body for any areas of pain or discomfort, and consciously call the Gnomes to assist you in healing this area. They, too, may be surprised at first to realize that you know of them, but they then rush to follow your request. Thank your inner Earth Elementals for all that they do for you, and through them, thank all the Earth Elementals of my planet. As you co-operate with your inner Earth Elementals to create greater personal stability, you are also contributing to greater planetary stability. Breathe now into the “space” of your body, the places “in-between,” that appear empty, yet are full of potential. Call upon your inner Air Elementals, the Sylphs, to cleanse these spaces, as well as all the oxygen in your body. With the clarity of body, feel how your clarity of mind increases. Thank your Air Elementals for all that they have done for you, and through them, thank all the Sylphs of my planet. With your every exhalation, be conscious of the thoughts that you sending out before you. Also, with every inhalation be aware of the thoughts of others. You are not alone, except in your 3D illusions. Feel how the Air Elementals spread Unity of Thought throughout my entire planet. Determine to be aware of the thoughts that you contribute to the Collective Consciousness, as you thank your inner Sylphs for their great service to you and to the planet. 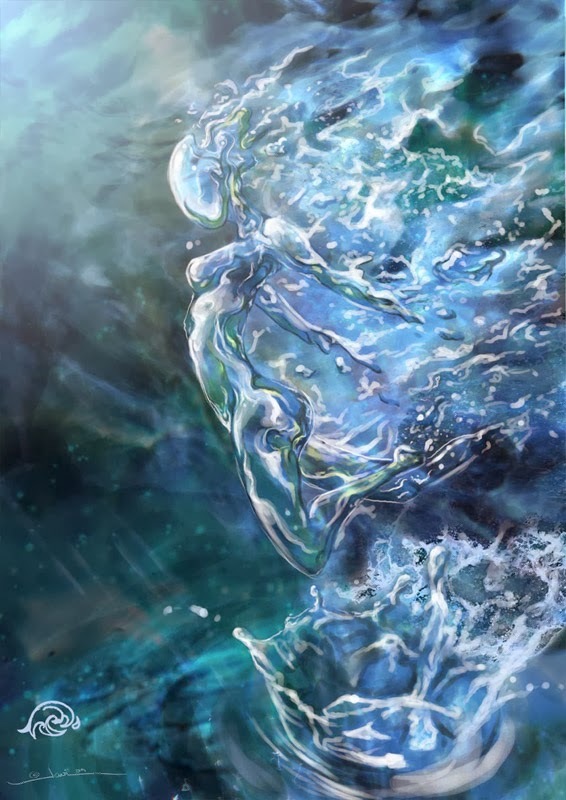 Take a moment now, to emotionally connect with your inner Water Elementals, the Undines. Feel these Undines as they beat with your heart and flow with your blood. Feel how they co-operate with the Air Elementals, the Sylphs, to carry life giving oxygen throughout your system. 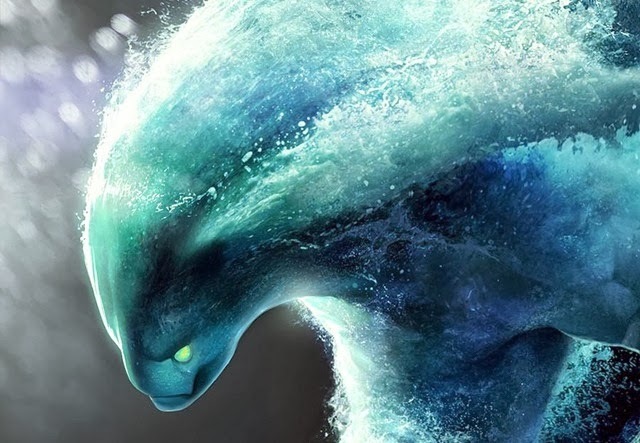 Experience the Flow of your Water Elementals. They neither work nor toil. They simply ARE. Call upon your Undines to teach you the art of “living in the Flow,” as you thank them for their contribution to your well-being. As you feel the Flow inside of you, you spread the steady sense of calm awareness to your outer world through the unity of all Elementals. Sense how your inner Undines facilitate the Flow of Communication and Co-operation between your inner Elementals, who then unite your inner elements of earth, air, fire and water, within the “society” of your physical Earth vessel. YOU are the Captain of this vessel, and YOU have the power and the responsibility of that position. Your inner alliance, or discord, will now be projected out into your outer world via the Unity Consciousness of all Elementals. Be aware of what you are projecting, for others surely will be! You can only gain mastery over that which you are consciously aware. With attention and recognition, your Elementals can function in greater harmony with you and with each other. Once you have achieved conscious, Multidimensional teamwork within yourself, you then initiate that spirit of co-operation with your outer world by your mere presence. The sun will shine above your head, the waters will calm with your passage, the earth will bloom with each footfall, and the skies will shine above you. Yes, dear people of my planet, that is the grandeur that you expressed when you first walked my body, and the grandeur you will regain at the time of our Planetary Ascension. We shall CREATE that moment TOGETHER, Person, Planet, and, of course, our dear Keepers of the Water, the Cetaceans.